Day 03: Fly out to Bhadrapur domestic airstrip drive out to Siliguri after safe landing and overnight stay at Siliguri Hotel. Day 04: Transfer to Darjeeling via Mirik and Pashupati Nagar ( Nepal Border) and overnight stay at Darjeeling . 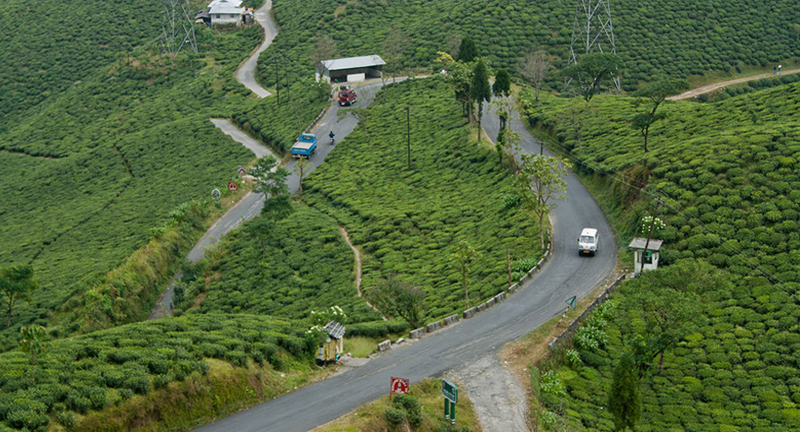 Day 04: A whole day excursions in the vicinity of Darjeeling town including Tiger Hill 2590m. a Sun Rising Viewpoint, Ghoom Monastery, an oldest Buddhist Monstery in Darjeelig, Darjeeling Botanical Garden , Natural History Museum , Himalayan Zoological Park and overnight stay at hotel. Day 06: Early in the morning drive to Kalimpong situated at 4200 ft. a ranging distance of 51 KM from Darjeeling joined by the zigzag metallled road. After arriving at Kalimpong town check-in at hotel and in the evening sightseeing around the twon. Day 07: Free in the morning and at noon transfer to Siliguri & overnight at Siliguri Hotel. Day 08: After breakfast drive back to Bhadrapur via Kakarvitta and fly back to Kathmandu and overnight stay at hotel. Day 09: Whole day free and in the evening a farewell dinner. Day 10: Transfer to the airport for the final departure.